Now, let’s dig a little deeper into the aforementioned points. Gradebook has been receiving a lot of cosmetics as well as functional updates over several past updates. As the usage increased, it was high time to revamp the gradebook to optimise it for better performance. The primary aim for this revamp is to load the gradebook as quickly as possible. 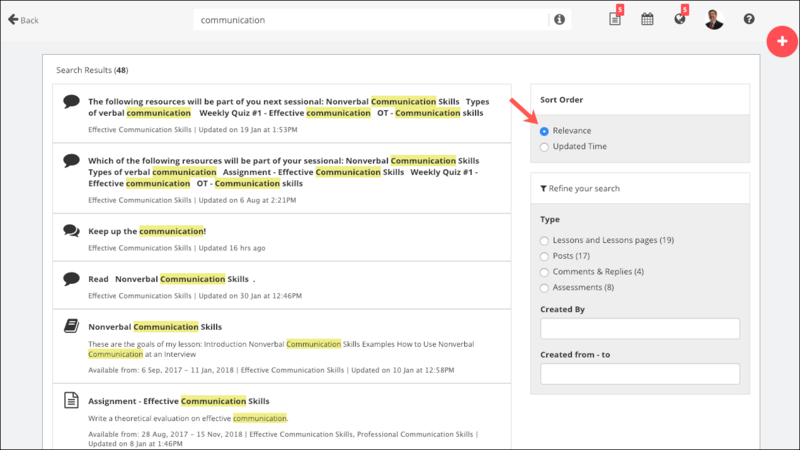 This will help instructors to quickly see the overview of how learners are performing in the classroom. 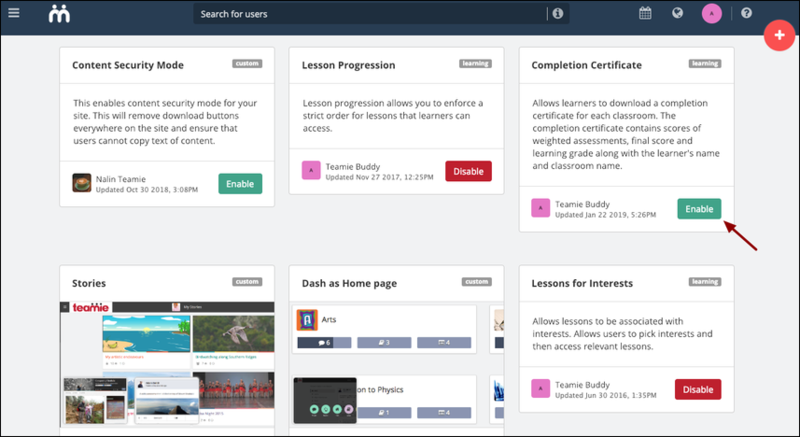 Furthermore, this revamp will allow instructors to quickly view the existing scores and grade for learners across the classroom. Firstly, you will notice that we have added more filtering options on the gradebook page. You can now narrow down the gradebook data on the basis of learners’ names as well as their active/inactive status. Gradebook data can also be viewed on the basis of Sections as well as Grading Components (if grading components are enabled). We have also repositioned the Highlight section from the bottom to the top of the gradebook. Given that sometimes the amount of data can be overwhelming to process easily, we have introduced the HeatMap highlight tool in the gradebook. It will highlight all the cells in shades of red to green based on the achievement of the scales for each criteria. This allows for a visual comparison of the performance of a learner across criteria, or of all the learners for a particular criterion. Further, we have added the assessment type icons to the left of the assessment’s name for faster recognition. We have also changed the options for assessments’ dropdown to ‘View Assignment’, ‘View Attempts’, ‘Publish All’, and ‘Unpublish All’. For each cell, you will have the option to view the detailed view. You would now be required to go to the full view to add evidence and comments. 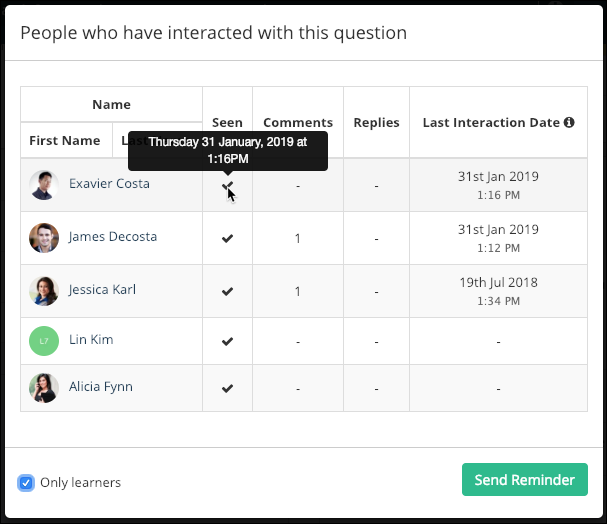 In case an assessment is shared individually or with a certain set of users (see personalised learning), the cells will be greyed out for the other learners in the classroom. Also, once you publish all the scores for an assessment, the whole column will have a coloured background. We have changed the highlight display now so that if any of the scores are published then that cell alone can be highlighted. 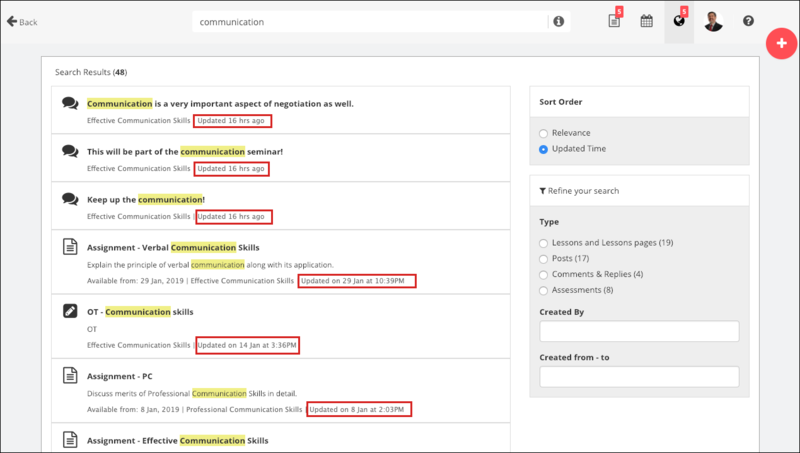 Therefore, if an instructor has published the scores of selected learners in an assessment, then only those cells will be highlighted. We will be adding more workflows to gradebook in the upcoming updates. So, stay tuned and share your feedback on how was your experience with the revamped gradebook. We have improved the existing ‘Seen by’ statistics for posts. 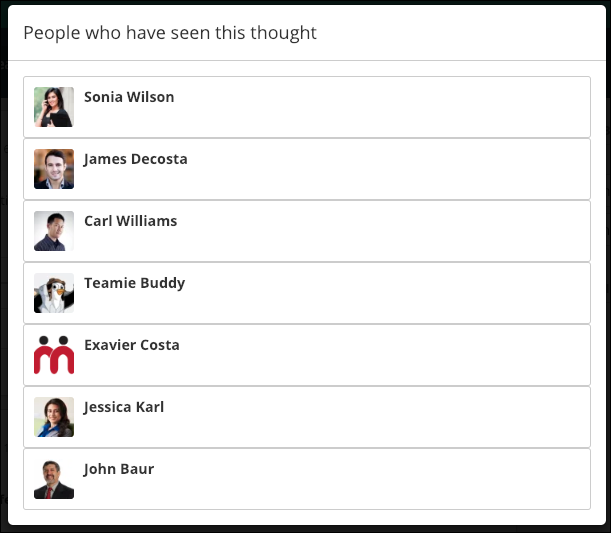 Currently, you can view the list of users who have seen a post. You can sort all the aforementioned list in either ascending / descending or alphabetical order (in case of first and last names). 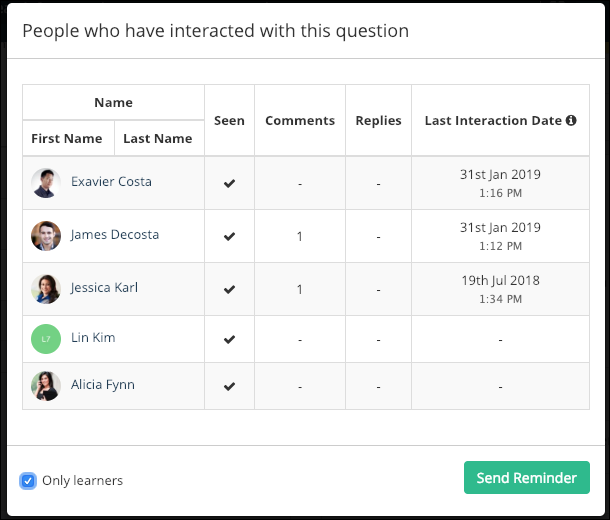 The user interaction stats for a post includes the list of all the users who are part of the classroom. 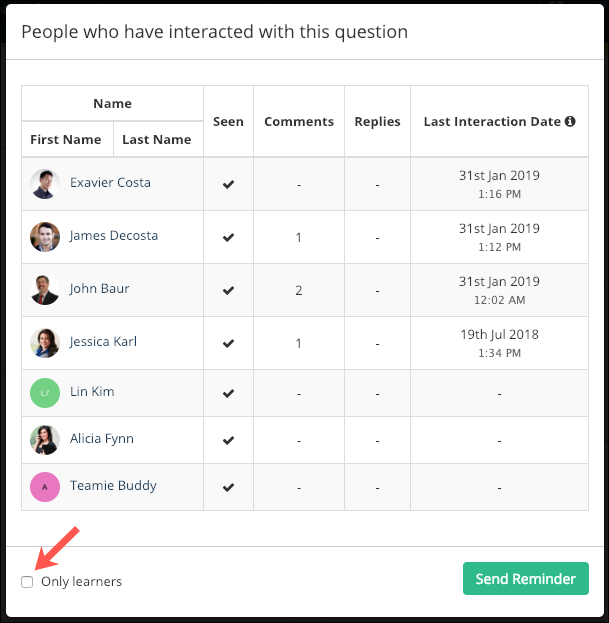 We have also added an ‘Only learners’ checkbox to filter all the learners who are part of the classroom. You can also see the time at which users have seen the post by hovering over the tick mark under the Seen column. From Teamie Xanthic onwards, instructors would be able to submit draft attempts made by learners. Additionally, they will also be able to submit draft attempts for assessments whose deadlines (including late submission) have passed. 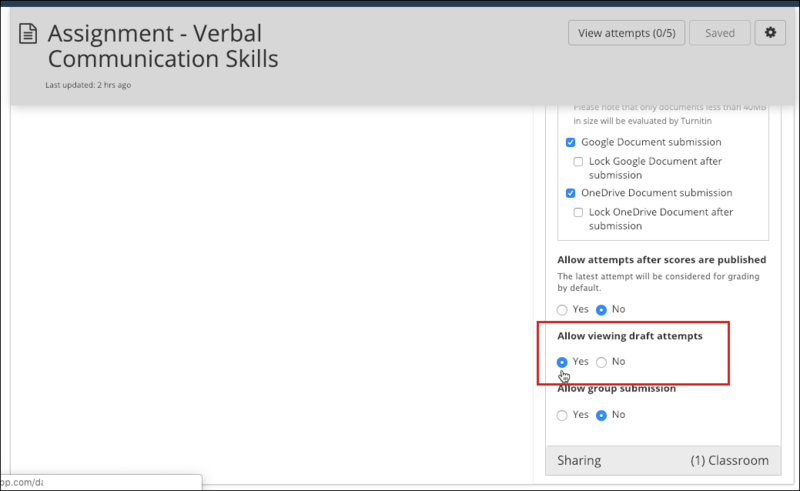 This will help instructors in submitting attempts on behalf of learners, which sometimes is a use case for instructors on Teamie. 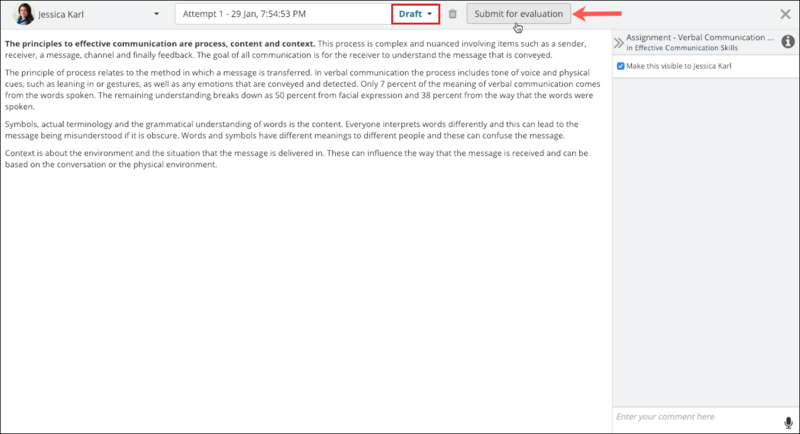 Take note that instructors will only be able to submit draft attempts for assignments that have the setting ‘Allow viewing draft attempts’ enabled. Currently, the search results on Teamie are sorted on the basis of relevance. By relevance, we mean that the search results are populated keeping in account certain factors that are relevant to the search, such as, the number of times the searched term/phrase appears in the populated results, whether it appears in the title/description of different materials etc. As useful as the existing sorting of search results have been to our users, we have received feedback that a chronologically sorted search result would also help end users. Keeping this in mind, we have added a ‘Sort Order’ section, which includes the options to sort search results as per their ‘Updated Time’. By default, the search results are sorted for relevance. Users can switch to the ‘Updated Time’ sort option to view results based on their last updated time (most recent shown at the top). Also, if the search is sorted for Relevance and some results are equally relevant, then they will be sorted by latest updated time. Furthermore, if the search has no term (ex. “Posts by me”), then the results are ordered reverse chronologically by default. 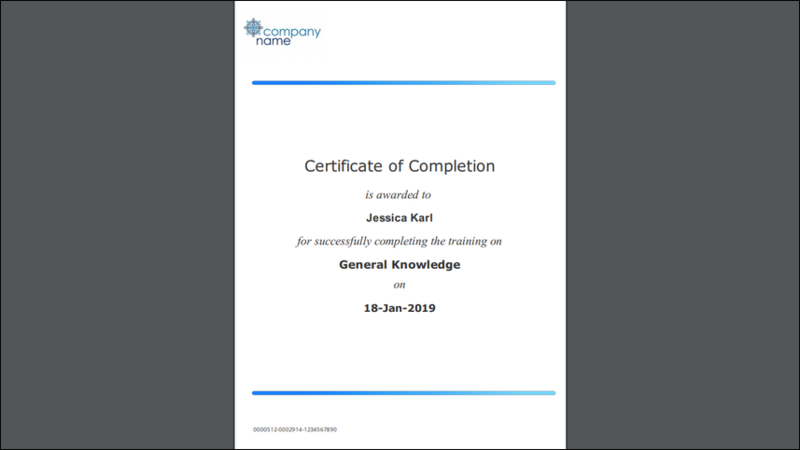 We have revamped the classroom completion certificate such that the learners would be able to download the certificate, once they have met the completion criteria for a classroom. 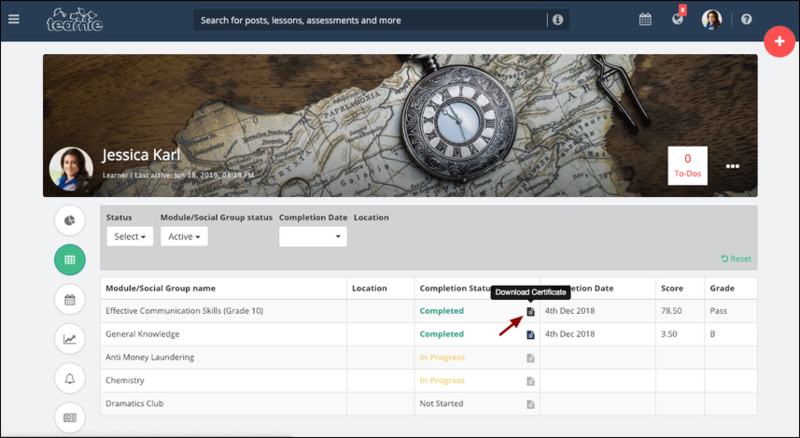 As an administrator, you can enable the classroom completion certificate from the Manage Optional Features page. 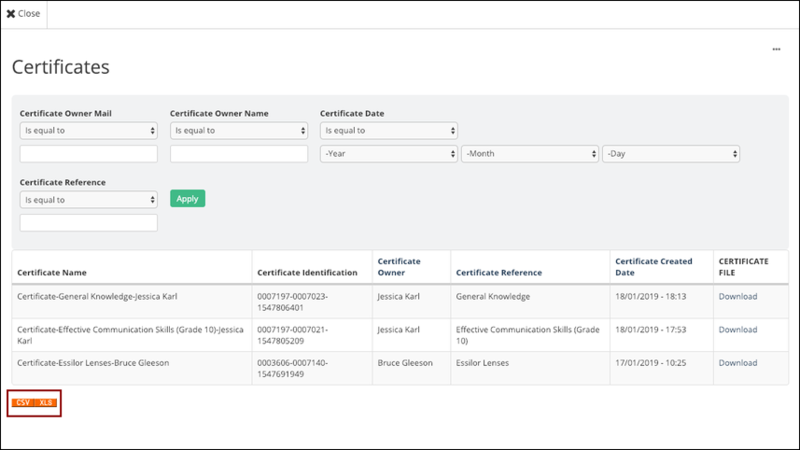 You can manage the certificates downloaded by learners by exporting the administrator report to track all the certificates generated and downloaded on your Teamie site along with their unique certificate numbers. You can also filter the certificates downloaded by learners based on their email, name, certificate download date, and classrooms. 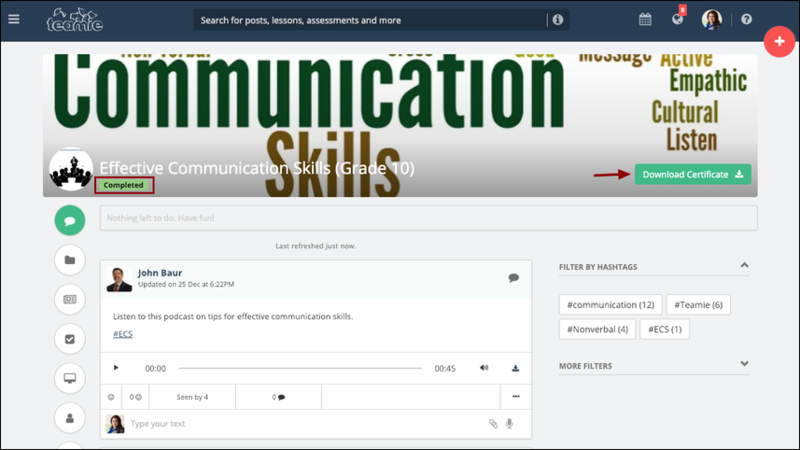 Learners can download their certificate from the classroom cover image and the Summary page. You can also visit our help center to know more about classroom completion certificates.